Nathan Fillion has issued a statement about Castle co-star Stana Katic being let go from the show, but Katic supporters are so not buying it. The statement seems benign on the surface. However, fans privy to the rumors flying around about a behind-the-scenes feud between Fillion and Katic were deeply insulted by his note — and not afraid to let Fillion know it on Twitter. Some felt Fillion’s mention of wanting the show to continue on for years to come was a subtle dig at Katic — and that he’s glad she’s gone. 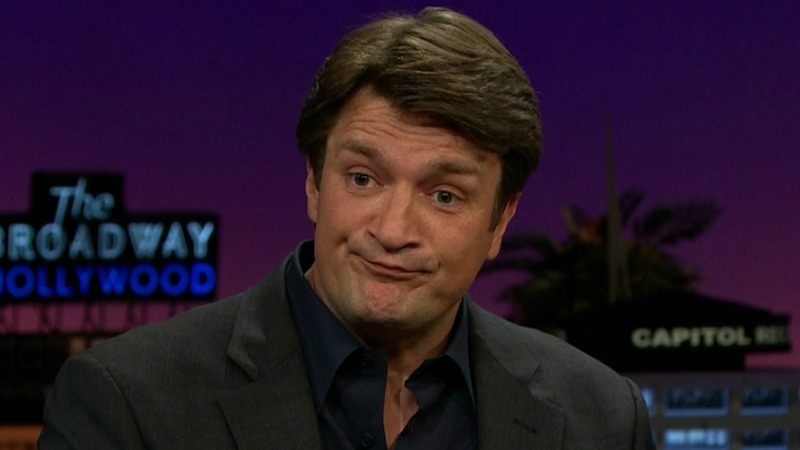 Others were perturbed that Fillion even thinks the show can go on at all without Katic and her character, Kate Beckett. Word came down on just two days ago that Katic’s character was written off the show, with little explanation as to why. Allegedly, Katic and Fillion’s off-screen relationship was so bad that producers forced the two to attend real-life couples counseling. There are also rumors circulating that both Katic and fellow co-star Tamala Jones — who plays Lanie Parish — were cut from the show’s lineup to help ABC cut costs. What do you think about Fillion’s note about Katic’s exit? Is it heartfelt, or just a sham?